It may be possible to produce dark matter particles in the very high-energy proton collision of the Large Hadron Collider. Because the dark matter is neutral and weakly interacting, it leaves the detector with no trace and is identified as missing energy in a collision. 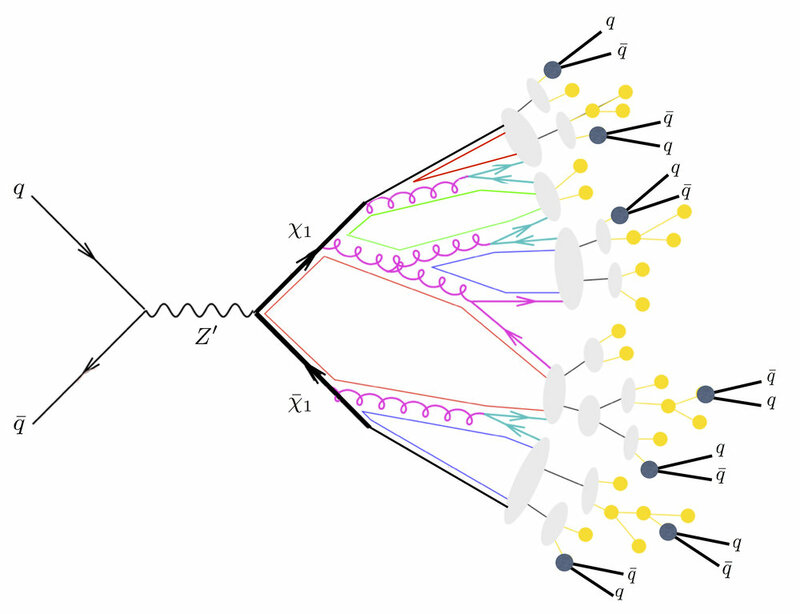 We have worked on a variety of methods to improve searches for dark matter at colliders, including the development of Simplified Models. While initially proposed for jets plus missing energy searches, Simplified Models are now broadly used in the majority of LHC analyses. Additionally, we have proposed the use of substructure techniques in cases where many hadronic jets are produced in the proton collisions. Most recently, our focus is on `semi-visible' jets, which arise from models with hidden dark sectors. A semi-visible jet contains quarks and gluons, as well as dark matter particles; fundamentally new search strategies are needed to discover them.